TKO 43: Barriault vs Kornberger from May 4, 2018 at the Videotron Centre, Quebec City, Quebec, Canada. 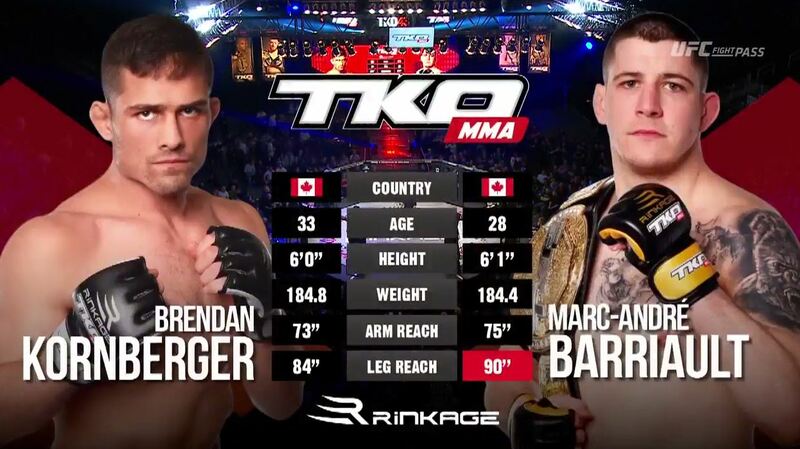 Marc-Andre Barriault vs Brendan Kornberger TKO 43 May 4, 2018 (18:27) Marc-Andre Barriault vs Brendan Kornberger at TKO 43: Barriault vs Kornberger from May 4, 2018 in Quebec, Canada. 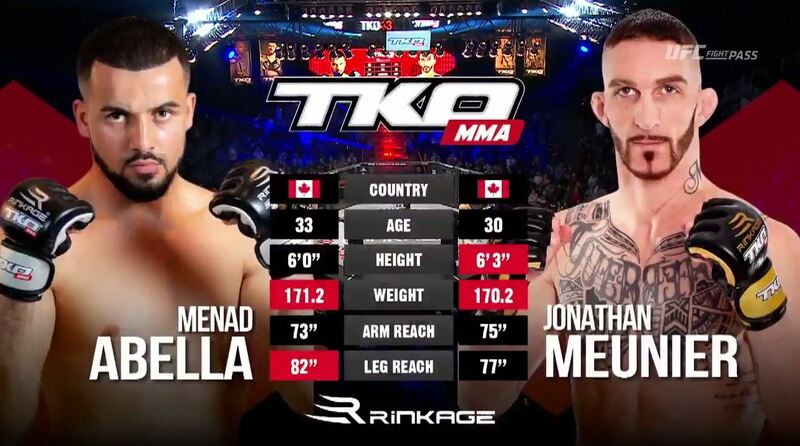 Jonathan Meunier vs Menad Abella TKO 43 May 4, 2018 (21:58) Jonathan Meunier vs Menad Abella at TKO 43: Barriault vs Kornberger from May 4, 2018 in Quebec, Canada. Jesse Arnett vs Sebastian Ruiz TKO 43 May 4, 2018 (17:24) Jesse Arnett vs Sebastian Ruiz at TKO 43: Barriault vs Kornberger from May 4, 2018 in Quebec, Canada. 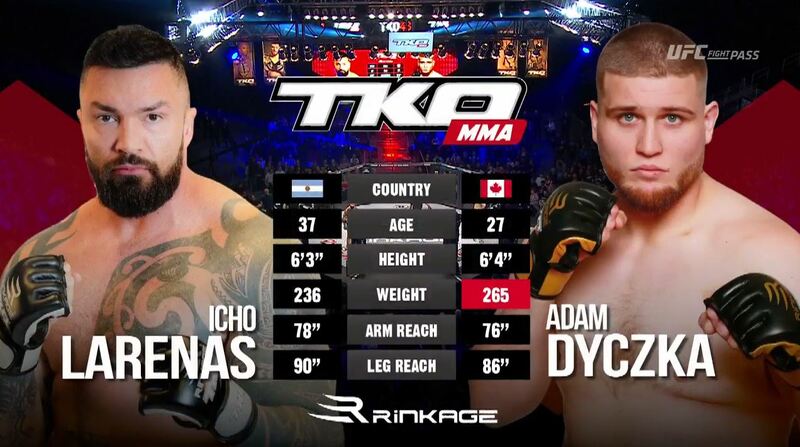 Adam Dyczka vs Icho Larenas TKO 43 May 4, 2018 (6:32) Adam Dyczka vs Icho Larenas at TKO 43: Barriault vs Kornberger from May 4, 2018 in Quebec, Canada. 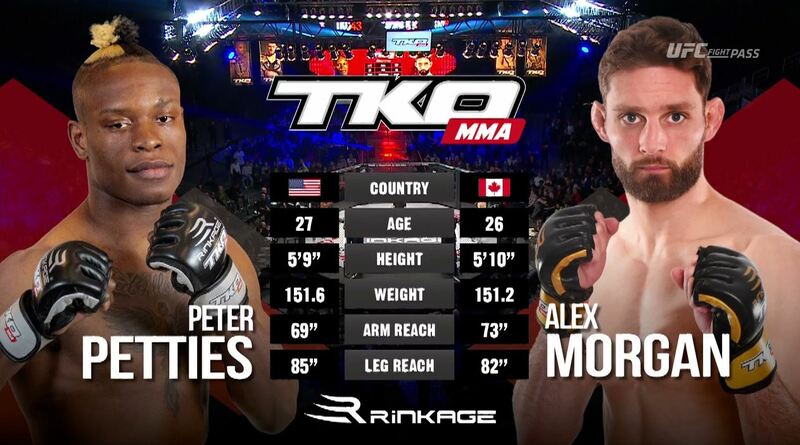 Alex Morgan vs Peter Petties TKO 43 May 4, 2018 (22:33) Alex Morgan vs Peter Petties at TKO 43: Barriault vs Kornberger from May 4, 2018 in Quebec, Canada. Sylwia Juskiewicz vs Alyssa Krahn TKO 43 May 4, 2018 (22:25) Sylwia Juskiewicz vs Alyssa Krahn at TKO 43: Barriault vs Kornberger from May 4, 2018 in Quebec, Canada. 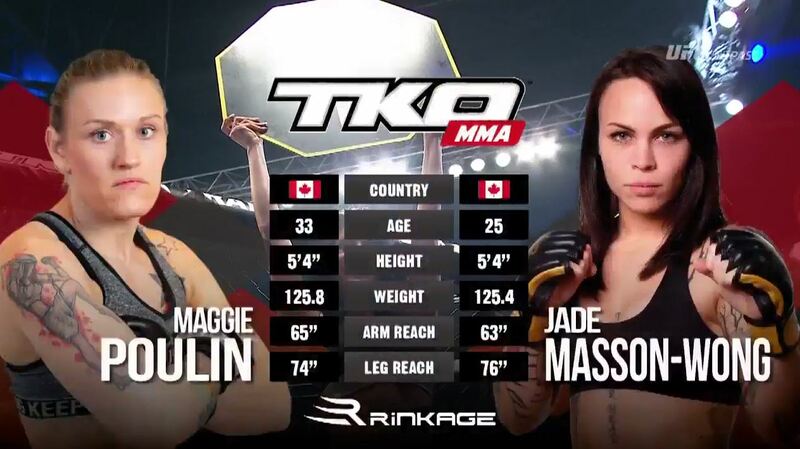 Jade Wong vs Maggie Poulin TKO 43 May 4, 2018 (21:51) Jade Wong vs Maggie Poulin at TKO 43: Barriault vs Kornberger from May 4, 2018 in Quebec, Canada. 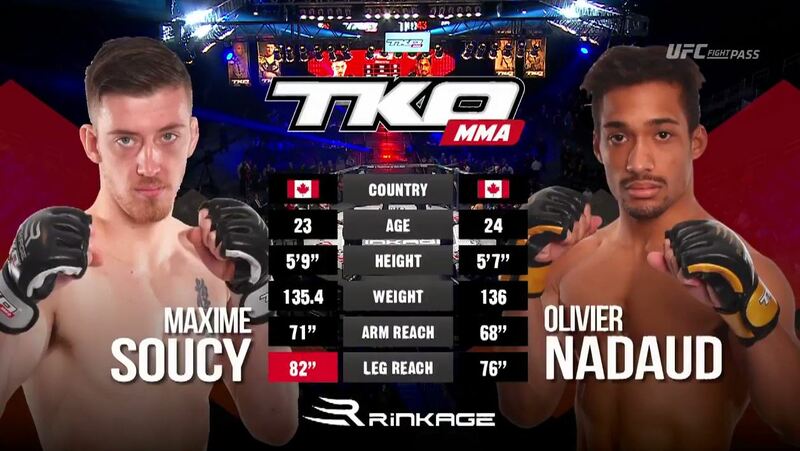 Maxime Soucy vs Olivier Nadeau TKO 43 May 4, 2018 (6:35) Maxime Soucy vs Olivier Nadeau at TKO 43: Barriault vs Kornberger from May 4, 2018 in Quebec, Canada. 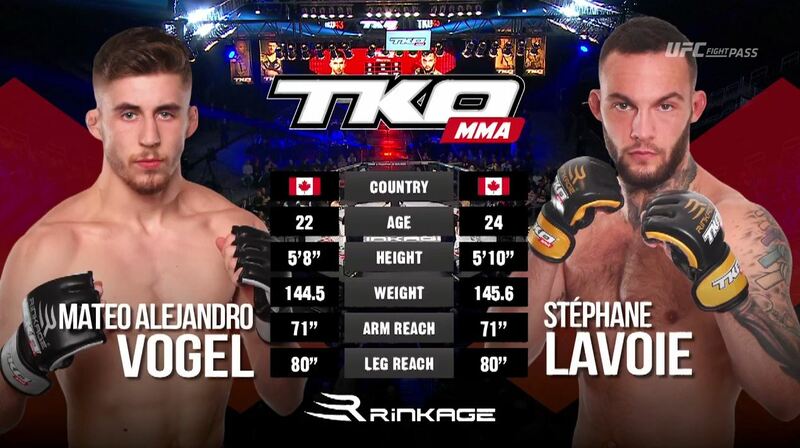 Mateo Vogel vs Stephane Lavoie TKO 43 May 4, 2018 (12:49) Mateo Vogel vs Stephane Lavoie at TKO 43: Barriault vs Kornberger from May 4, 2018 in Quebec, Canada. Terry Lemaire vs Samuel Giguere TKO 43 May 4, 2018 (5:11) Terry Lemaire vs Samuel Giguere at TKO 43: Barriault vs Kornberger from May 4, 2018 in Quebec, Canada. Mattia Loi-Fonda vs Joe Patry TKO 43 May 4, 2018 (7:19) Mattia Loi-Fonda vs Joe Patry at TKO 43: Barriault vs Kornberger from May 4, 2018 in Quebec, Canada. 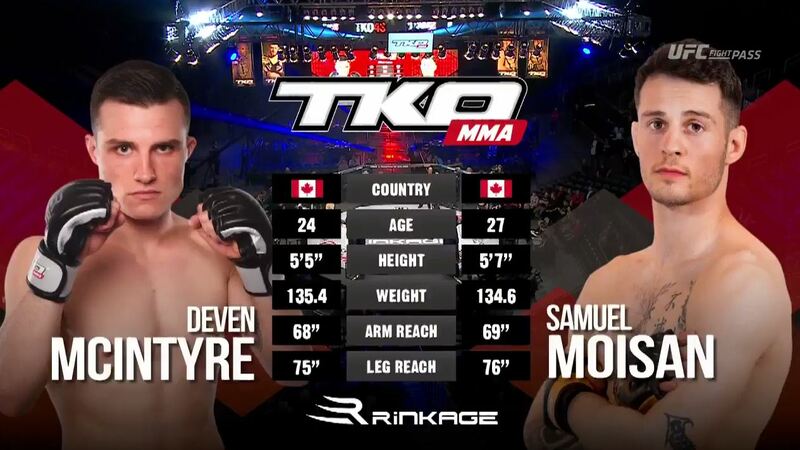 Samuel Moisan vs Deven McIntyre TKO 43 May 4, 2018 (21:00) Samuel Moisan vs Deven McIntyre at TKO 43: Barriault vs Kornberger from May 4, 2018 in Quebec, Canada. 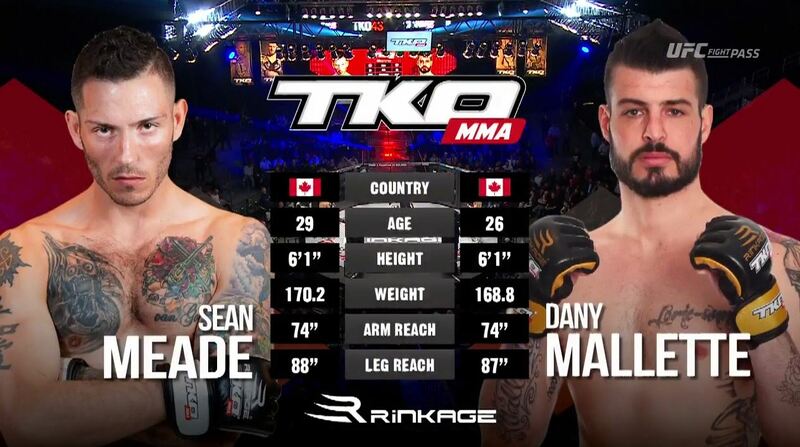 Danny Malette vs Sean Meade TKO 43 May 4, 2018 (22:47) Danny Malette vs Sean Meade at TKO 43: Barriault vs Kornberger from May 4, 2018 in Quebec, Canada.